If you need to purchase stainless steel bar, Jaway Steel Co.,Ltd is your best choice. If you want 304 Stainless Steel bright Bar, Jaway still is a good manufacturer for it. Usually, there are many surfaces for stainless steel bar, such as pickled surface, bright surface, hairline surface and so on. They are used in many and many aspect in modern life, and they are important materials in construction of cities in the world. 2B belongs to need deep drawing artifacts since the wool surface is easy to keep the lubricant in the steel surface when deep drawing. Jaway always appreciates esteemed customers. We have certificate issued by Chinese Commercial Chamber to approve quality. As for delivery time, we pay more attention to delivery time. Our products are all far above standard quality along with package. As the artifacts surface brightness requirements, the polishing processing is also required after molding. We also accept delivery spread over a period of time. We plan to expand factory in near future. No.4 is a surface which is 150~180, using abrasive belt to grind to get the production. The stainless steel coil, there are cold rolled and hot rolled production methods. 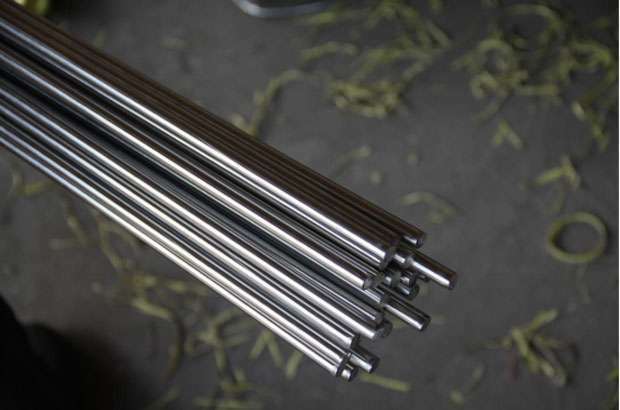 304 Stainless Steel bright Bar be produced along with cold or hot rolled. Welcome to contact us if any questions.